Avon Indiana YMCA is an important attribute to Avon Indiana home buyers thinking of moving to this area. Its a great place to work out, swim in their large indoor pool or use the exterior running track. A Reason to live and work in Avon! 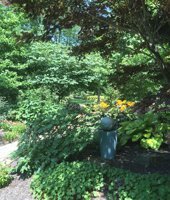 Avon Gardens is a must see destination in Avon Indiana. 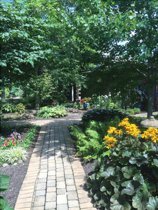 A beautiful local treasure, unique plants and garden items, events through the summer called "Music in the Gardens". Wonderful place to hold your wedding or special events.